This is a real hearty Mexican meal that will fill you up. 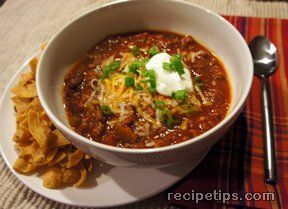 It is a very inexpensive and easy recipe to make. Heat sauce pan with olive oil, when hot add the chopped mushrooms, onions, and diced chilies; salt and pepper to taste. When the onions start to brown, add the ground beef to the pot. Stir until the meat starts to brown and add the Worcestershire sauce. 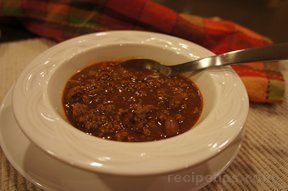 When all the ground beef has browned, add the tomato puree and chili powder; taste when cooking and if needed add more chili powder. Once the kidney beans are strained add them to the pot along with the can of chopped tomatoes. Stir and cover with lid; let simmer on medium for 15 minutes. 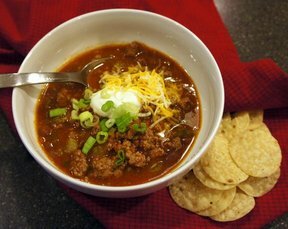 When done, serve with boiled rice or taco chips.